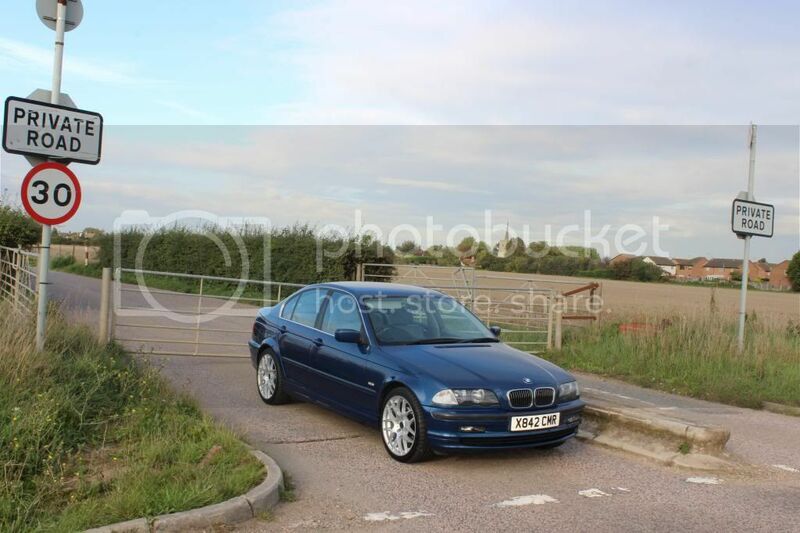 My Mrs has had her 2000 E46 325i SE Saloon for a few years now. I'd love to hit it with the modding stick but all I've managed to persuade her into thus far is a set of 18" wheels as the old ones were corroded and struggled to hold air as a result. She was worried they'd make the ride too harsh as it was! The plan was that we would get the old wheels refurbed and put winter tyres on them - but it's October and that's not happened yet! So today I took all of the wheels off and gave them a good clean and wax to protect them for a few months. I usually give it a good wash every 10 days so they don't get too bad. It's on 113000 miles now. When we got it a few years back on 92000 miles, I changed the water pump and thermostat as I'd read on here the coolant system needs looking after to prevent failure. Nonetheless either the rad or the expansion tank split early this summer and I replaced both without looking to see which was the culprit to be sure neither give trouble again. I've also chased oil leaks from the cam cover gasket, oil filter housing gasket and the oil pipe going to the Vanos housing as it leaked at the pressed union to the big banjo. So no more oil leaks or smells of hot oil and a clean bay again. I've also done the hedgehog and one of the rear window regulators was replaced when we bought it by the garage selling it. The front passenger one is showing the early signs of failure but it has been since we bought it a few years ago without really getting any worse, so it's a job I've been putting off. Both rear springs have snapped and been replaced too. We treated it to a professional valet and clean a few months ago which brought the standard pale grey cloth SE interior up like new. I do the outside properly every 10 days so the outside looked as good as normal. I treated her to a new Alpine Head Unit when she got it to run her Iphone music on as the Business CD/Radio screen went belly up. I prefer the look of the OE stuff but it was knackered so needs must and she's happy with it. Other than an oil change every 6-7000 miles and the odd aircon re-charge, that's it! 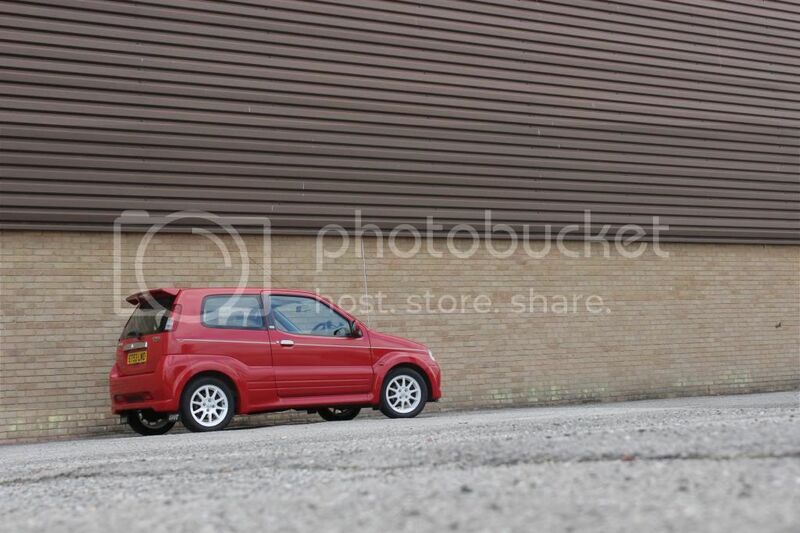 It's a relatively quick daily for the Mrs and rides nicely, even if it would look massively better lowered! She won't budge on that one though, even after lots of nagging! I want one for myself to do with as I like, however we don't both need a big car and parking at work is crap, so I recently bought a Suzuki Ignis Sport for myself after reading good things on Piston Heads. 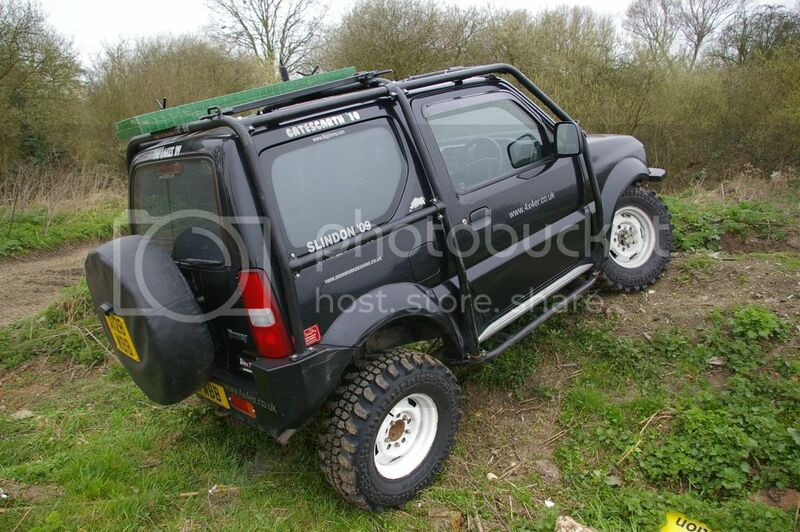 We also offroad / green lane a very modified Suzuki Jimny! 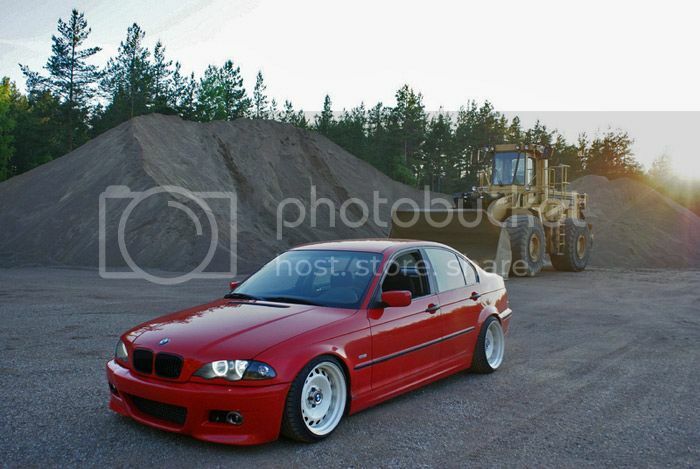 Until she lets me put coilovers on her E46I'll just keep looking at the rest of yours and drooling! mneth1986 - I looked at a 330 coupe just like yours whilst looking for a car for myself - then the Mrs + I could have had His & Hers Topaz E46's! I thought long and hard on the wheels as she didn't like any of the usual suspects or any slightly off the wall suggestions I made - we must have looked at hundreds of wheels just to come back to a set of relatively cheap set of Dare's! BBS CH reps were in the running for a short while but she preferred these! Chimp Choker - trust me, my Mrs is far too suspicious to know something wouldn't be up and she now knows far too much about cars for me to pull that sort of trick off - or it'll have been done by now! It's so damn hard when it's not your own car! 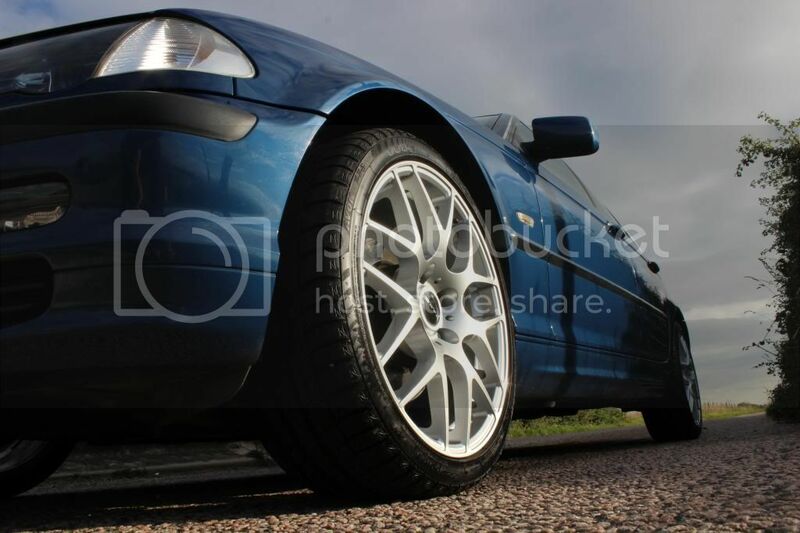 I've just got to source some BMW roundel centre caps for those wheels now. They're an odd size and I can't find any. I can't remember what they measure now - I'll have to get the verniers out and look again for another hunt on t'internet. Sounds like you've had a lot of problems with it for such a low mileage! Also sounds like your missus lets you do all this stuff to your car because she knows it makes you happy! Not really I don't think, they've not been different to the usual E46 issues and other than the rad/expansion tank splitting, none have been massive issues and were easily and cheaply remedied. Let's not forget it's a 13 year old car that's been around the clock. Rubber gaskets go hard and brittle after so many heat cycles and in that amount of time so it's only to be expected. It's a nice car and deserves to be looked after properly. She lets me do stuff to my own car as she doesn't have a choice what I spend my money on! As long as the bills get paid! That's how the Jimny has got so modded. She enjoys cars too but just doesn't want suspension any harder than it is on her daily. If I didn't have the Jimny I think I'd have an E46 manual 330 saloon Sport, on coilovers with decent wheels in Imola Red, or Topaz Blue. It would be a toy car so I could go a little mad on the modding front without having to put up with the compromises on a daily basis! 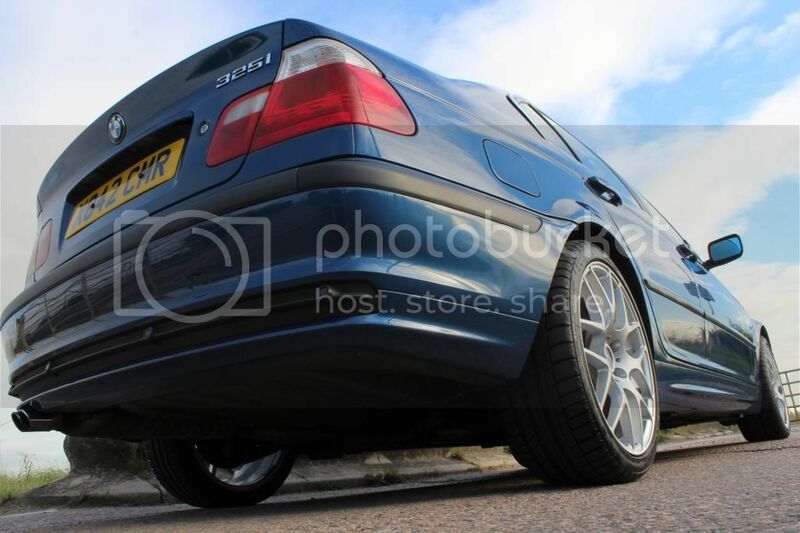 If I knew what I know now about E46's we'd have got a 330 for the Mrs as the fuel consumption I understand to not be that different to the 325 but it has the extra power. The 330 has to be the E46 to have in my view as although we'd all like an M3 we'd not all like the servicing, fuel,tyre and insurance costs that must match! That's academic anyway as I can't have one, so like I say, I'll drool over all your E46's on here! The passenger side window has been straining when going up for a while and I've had the Mrs limit it's use to only half way down. So today I took the regulator out having bought a Eurocarparts one. 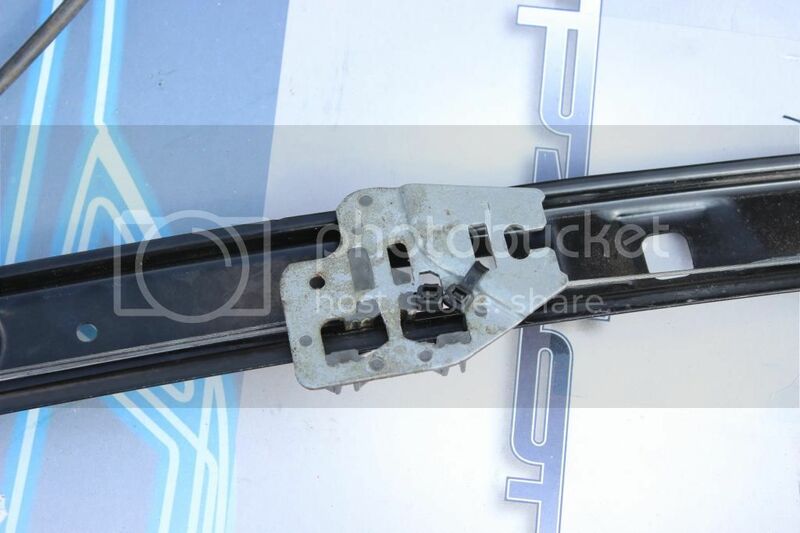 Well the box was open when it was handed to me at Eurocarparts and a quick look at it in the car did not show up anything obvious - but it was clear when I fitted it that it is utter rubbish. 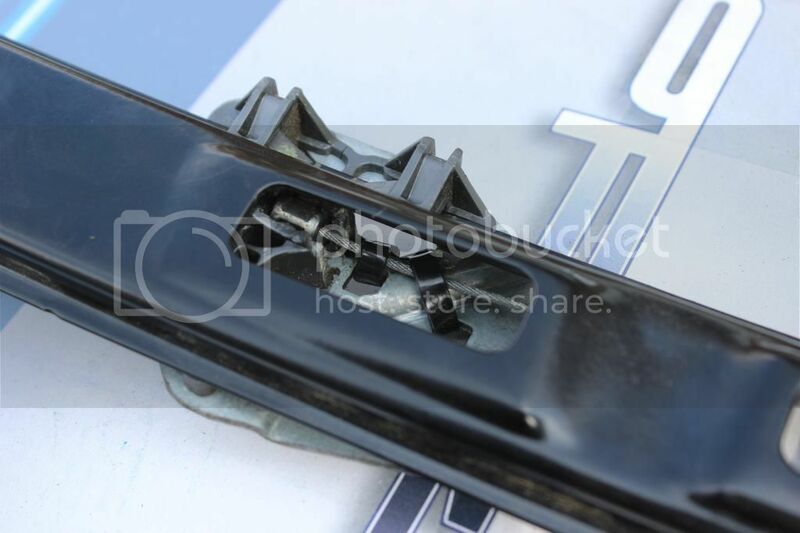 It has nylon sliders rather than the metal ones with plastic inserts on the OE ones and the sliders have gone out of kilter on the metal runners. So whoever returned it found it was utter rubbish too and now I'll be the 2nd person to return it! Instead of fitting the utter rubbish Eurocarparts regulator I've done the cable tie repair trick on it and it seems good now. It goes up and down straight and without straining at all but clicks when it gets to the very top. So I'll have to have it apart again but I've had my fill for the day now! I think it's feet up time - given it's my day off and all! I think I need to add an extra cable tie to the other side of the crimp on the cable as I think the clicking is it still trying to ride up out of the plastic. That's what the guy in the link has done. I posted recently about a coolant leak and have documented elsewhere on this forum but mention it here also to keep a record of what I have done with the car in this thread. 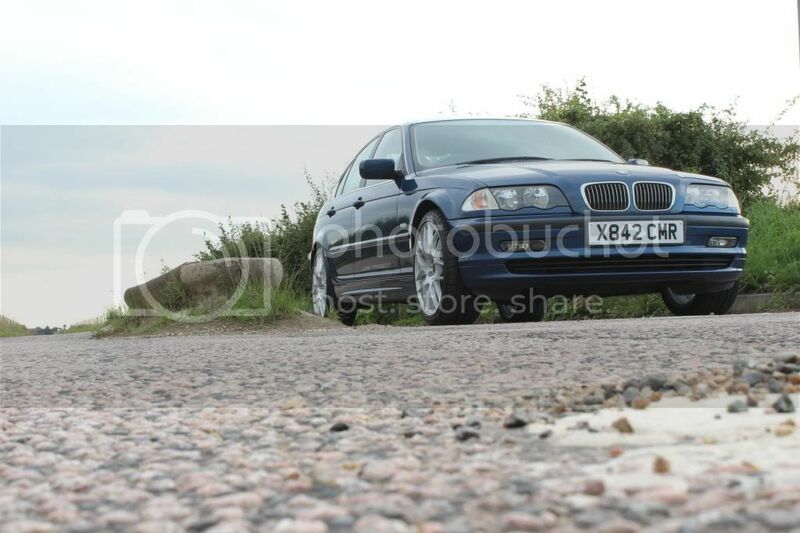 When we bought this car back in May 2011 I did my research on this fine forum before we bought the car to see what was what with 6 cylinder petrol E46's. I learnt to replace the cooling system and had a mechanic replace the water pump, thermostat and coolant. Then a few years later the radiator or expansion tank cracked open and I replaced them myself. So all the usual suspects were replaced. So you can imagine my surprise a week or so ago when I was told by the Mrs that the car was on occasion making a squealing or screeching noise and that we needed to go for a drive for her to demonstrate it to me. To her annoyance I opened the bonnet and found the cause - coolant on the belts. She wanted to take me for a drive to show me but it was obvious. Nonetheless she seemed impressed by my ability to diagnose the cause of the noise. I don't know why as I've been fixing our cars for years! 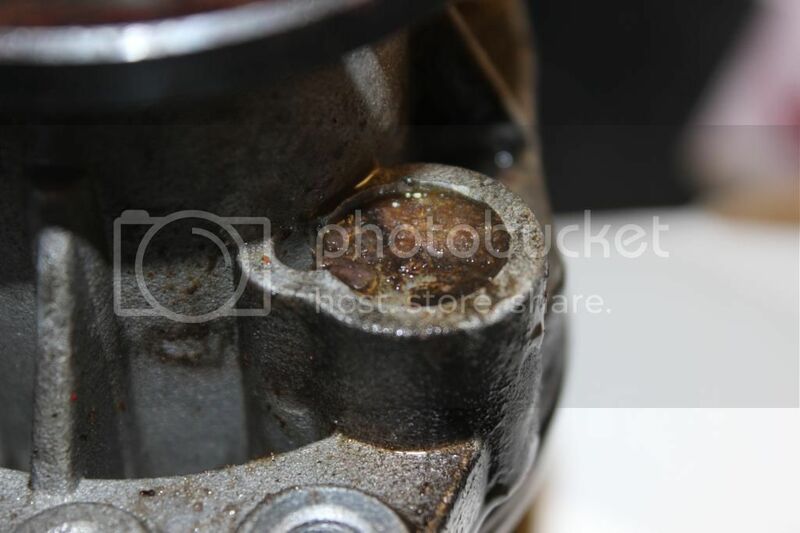 Diagnosing where the pesky coolant was coming from was not so easy to do though! Obviously you couldn't see it on the car with the water pump pulley in the way. Now I'm slightly annoyed as the mechanic who fitted the new water pump when we bought the car - 3.5 years and 30k miles ago came by the workshop today and commented he had only put a cheap Circoli on it. I had asked him to only put on a good quality thermostat and water pump. An oil change is due and I should have gone and got some to do it today whilst it was on the ramp as I have a filter on the shelf. I didn't though, so will have to do it on the drive in the next few weeks one dry day. At least this saga is over - or so I hope. I'll keep checking it daily for the next week to be sure. 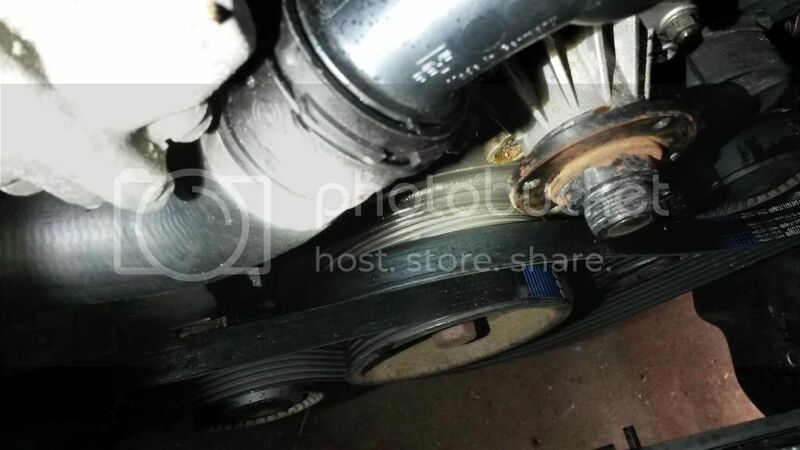 With them previously supplying a spring that did not fit, the issues I had with the window regulator and now this water pump failure I have the hump with Eurocarparts and it appears that they are often cheap for a very good reason: They supply some absolute crap! Some of the good named stuff like Bosch, Valeo, Hella etc is good OE stuff, the same as you'd get from your main dealer, but other stuff is crap! IMHO ECP's (and any other non-frachise supplier, come to that) cheap stuff is only a sensible option if you're planning on punting the car on in the near future. If you're planning on keeping the car any length of time only the best will do! Cheap is cheap for a very good reason. I couldn't agree more Stu. That's why I asked him not to use cheap crap but obviously he chose to ignore me. I supply the parts now if I'm not doing it myself but if I can do it I will be more often from now on! What water pump did you use then? Mine has a squeal occasionally which I assume is the pump! As above, genuine this time! They have changed the impeller from plastic to composite so they are the best now I think. You just have to pay for the best! Well after 131k miles of loyal service the brushes have worn out in the alternator on my Mrs' 325i. The battery light had come on a few times but when I tested it, it was putting out 14.2v, so it was charging. I used a scangauge to test it and read a code for the camshaft sensor on the exhaust side. So I put a new genuine sensor on it and the code stays cleared now, so that was a bullet dodged as it would have failed sooner or later. Then the battery light stayed on and with the engine running it was at 11.4v and just over 12v with the engine off. So I knew that the alternator was kaput. It was always going to be the brushes or slip rings. Fortunately the Mrs Step Father is Southend Alternator Centre and has been rebuilding them since about 1985. We've got a new born baby, so I have no time with work too. Fortunately he was willing to pop over and remove it today to save me the time and it should be rebuilt and back on the car tomorrow! It should be good for another 130k miles then! It's also had new front lower wishbones and their rear bushes as the ball joints were worn and it needed a new drop link. Again I've no time to do it with the baby so had the mechanic I use when I don't have the time or bother to do stuff do the work. I wish he'd replaced both drop links as the other side can't be much better. I'll have to do it myself. 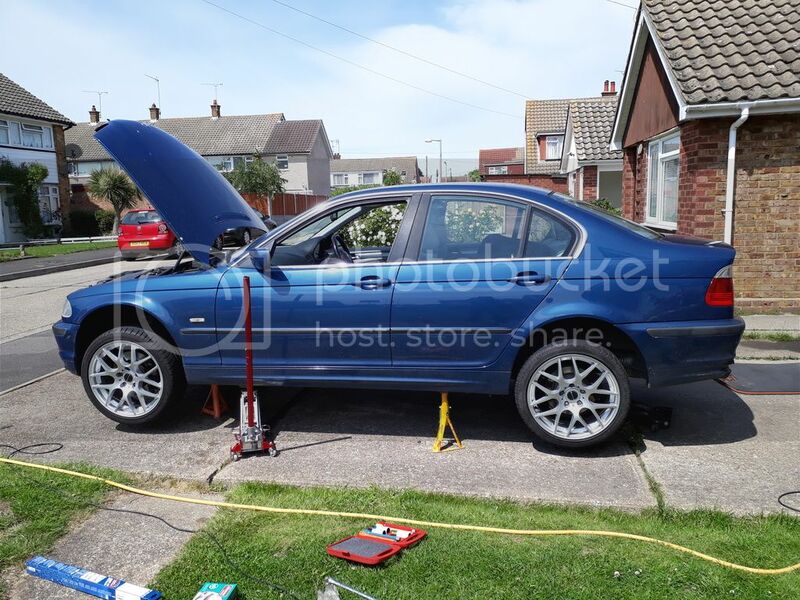 I had him do an oil and filter change on the 325i while he had it as I'd had the oil and filter sitting there for me to do for a month or so and the mileage was racking up without me doing it! I don't like it going past 6k miles on oil but it had got to about 7k. With the baby here I'll have to start doing more work on our cars to save money and find the time but it's only a month old at the moment . To this end I've eBay'd our old wheels and other stuff to get some workshop space back and I'm going to use the cash to buy a compressor and air tools. I've a nice new tool chest on castors for my tools that I can have in the workshop/garage or down the drive if I'm working on it there. So I've no excuses now! Oil change done and cup holders fitted instead of just the coin tray bit! I change the oil every 6k miles and albeit there is possibly a placebo effect, it felt a bit quicker with fresh oil today! A few bits of lacquer have come off recently with the pressure washer as I wash the snow foam off and I wasn't holding the lance particularly close either. So it's starting to look a little lack lustre now. Even though she has a few dents and lacquer flakes, I still love this car! 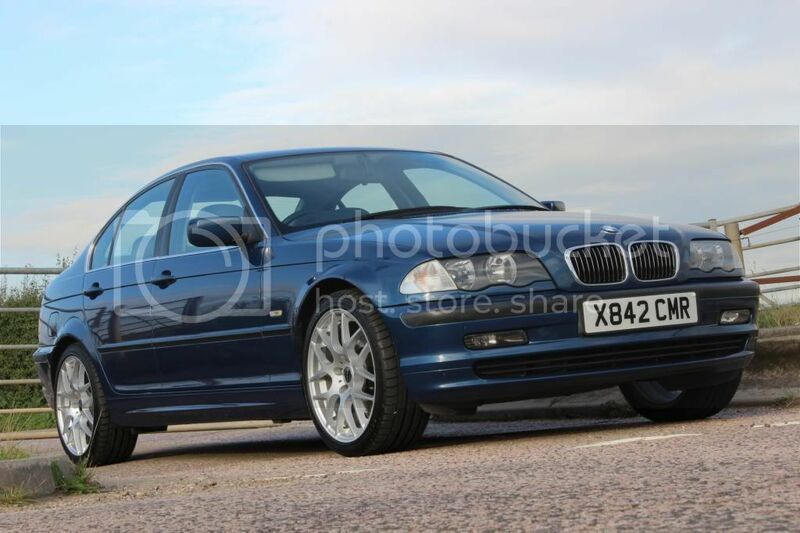 We've been discussing getting a bigger family car for the Mrs and baby, so if we do we'll part ex my E46 230i slush box and I'll take this car as mine!!! I think I'd be tempted with a bit of mild rat look as it's not worth trying to tidy the body with re-painting on a 15 year old E46! It would certainly need lowering! It's just a thought at the moment and depends how the savings go with her on maternity leave and the maternity pay drying up! This will need new front tyres very soon though! They've done well, so much so that they're starting to crack with age too. A job for the next week or so me thinks! Typing the above has made me double check the mileage and it's only on 135945, so with it having been changed at 131000 ish I've changed it 1000 miles earlier than my usual 6k! Never mind, it can't hurt and I managed to get the oil and Mann filter on offer at Eurocarparts with 1/3 off. Whilst I'm careful what parts I get from Eurocarparts, the offers on some servicing parts of good known brands makes them rather cheap, so much so you can service more often! These would look great for a mild rat look! 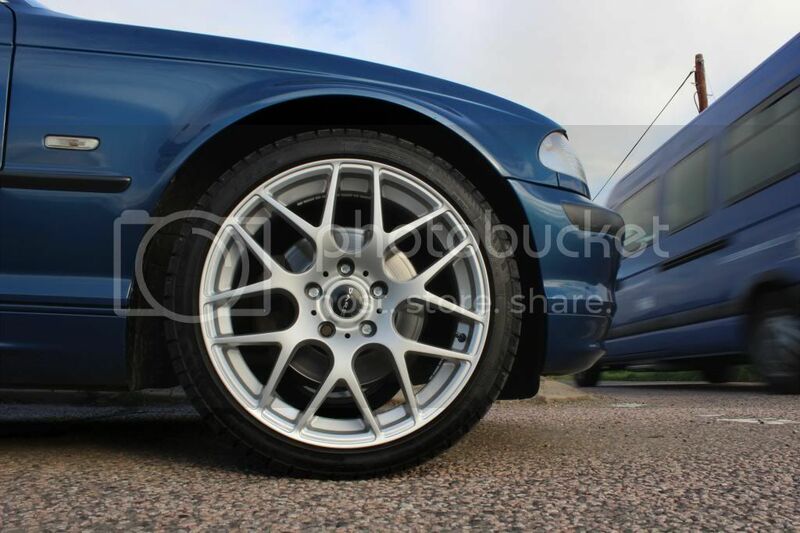 I've been researching a Limited Slip Diff, thinking that there'd be a model in the range other than the M3 that had one as standard, but no, only the M3 had one and it requires so many parts from the M3 that a Quaife is not much more expensive. At over a grand for either option it isn't going to happen! Y'all know why I want an LSD! Turn the sensible button off and practice ya Ken Block driving! Yeah I wish there was an option for it like on the E36s! I've seen quite a few folks take an E36 LSD and plonk it in the case of the standard E46 diff casing which is an option. There was an eBay seller doing a few of them a while ago for £600ish which was a cheaper option compared to the quaifes who I can't find anymore! Oh right, I understood it that the E36 LSD's didn't fit the E46 but that may have been just with casing and all rather than have the E36 diff made into the E46 casing. I shall have to make some enquiries! Cheers! On 28/05/2017 I changed the oil, oil filter, air filter and cabin filter, then adjusted the handbrake on the Mrs 325i at 142478 miles. I've put 5w/40 back in it this time rather then the 0w30 that usually gets recommended. I used to use this but got a good deal on 0w30 last oil change. It uses far less oil on the 5w40, which I think it needs now it's got a few miles under her belt! She still drives lovely though! 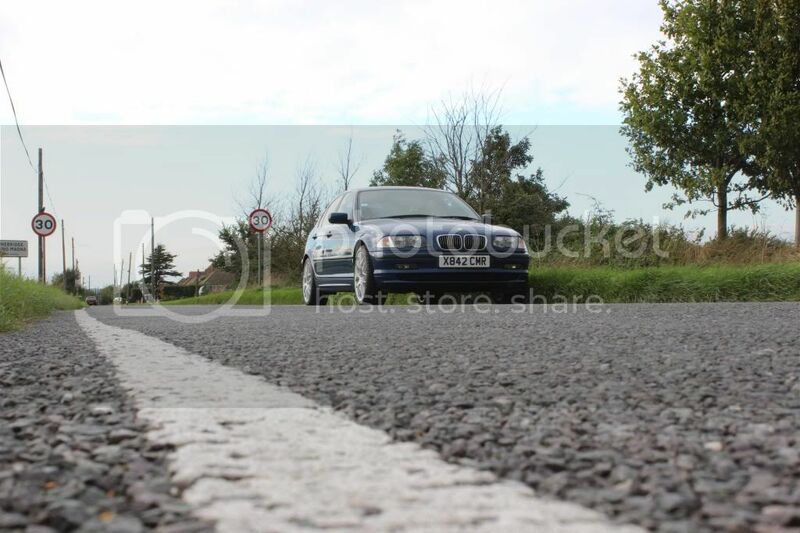 So Photobucket have decided to be knobs and stop my photos showing on forums unless I pay $400 US! I've moved over to Imgur but I don't know if I'll sit and fix all the photos on this thread and my E46's thread. I've fixed a problem on the Mrs 325i tonight. Last week while I was using it one of the rear light out warning lights came on. I couldn't see the problem but did the rear light earth fix, even though the plug is an earlier type than on mine and seemed fine on both sides. It didn't fix it! The next day the other rear light out warning light came on. I investigated further and noticed that the number plate lights were not working. I replaced one clearly blown bulb, feeling smug that it was a quick fix. Except it didn't fix it! I wasn't so smug all of a sudden! So further investigation found the colour of the wires that are the live and the earth. Continuity tests showed the live to be broken. The natural place to look was where the loom comes out of the car to the boot that has the lights in as it bends every time the boot opens or closes and the wires are getting old and brittle. Sticking a pin into the live wire and using a test lamp to my known good earth on the offside rear light cluster showed no power there but doing the same on the wire before it gets to the boot showed power, so I knew I was right. I cut the rubber boot along its length but not at the ends. I found the break in the wire, slid some heat shrink over one end, soldered it back together and tested it - all fixed! I had some plastic conduit from other projects that was just big enough to go round the loom but small enough to fit inside the rubber boot. I put this on and did the slit along the boot up with self amalgamating tape. This stuff sticks to the ends of the rubber boot and its self (hence the name) and is water proof. So it's as good a fix as you can do. I guess after 17 years and 145k miles I can forgive it the odd issue like this. We drive old cars to be able to have nice cars that we don't have to pay finance on monthly, that are not too slow and I can maintain without paying someone else's labour bill. So we save a fortune and the trade off is that every now and then I have to fix something! Whilst this is inconvenient, I do get a feeling of satisfaction when I've fixed something like this. So the latest issue in owning an elderly E46 with what's now about 146k miles down is a coolant leak. It's not the car's fault this time though as after investigation I've found that the bottom few inches of the radiator are bent over and it's a miracle it holds any coolant! So I've got a new radiator waiting for me to fit it in the next few days. 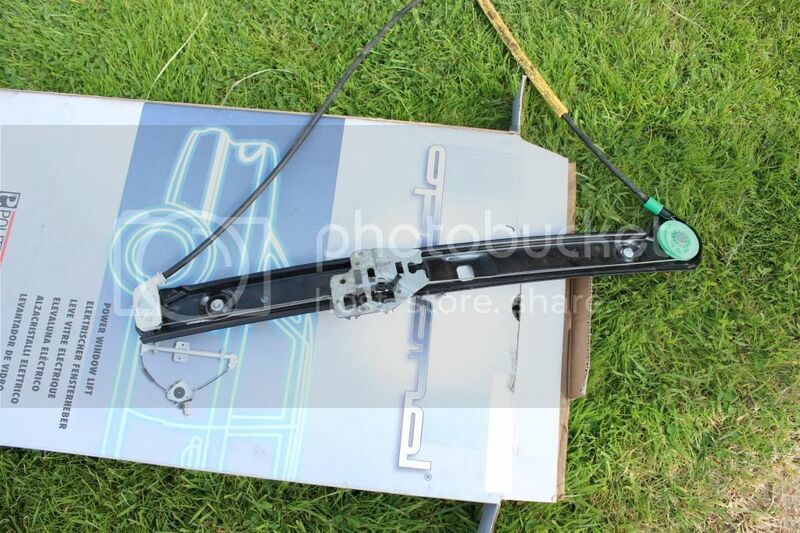 I'v also got to fit a new genuine rear passenger window regulator as that's failed. 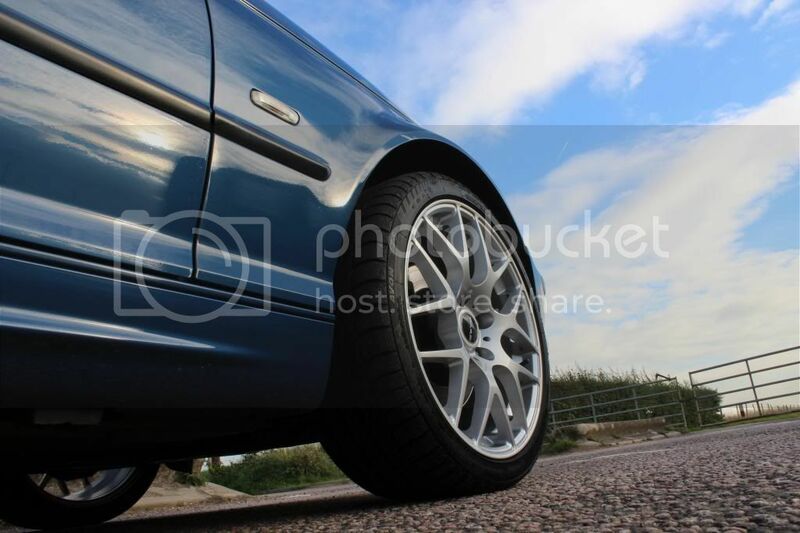 It won't be long before an oil change is due again and the rear tyres are getting low! I'm aiming to get this car to 200k miles. It had new front brake pads just before Christmas too. Radiator and return hose replaced yesterday, partly in the rain. I noticed that the return hose was swelling and gum like at the bottom by the joint to the BMW connector as I stripped it. A call to Fairfield BMW parts guy meant I had a new pipe in my hand by 15.20. Great service! 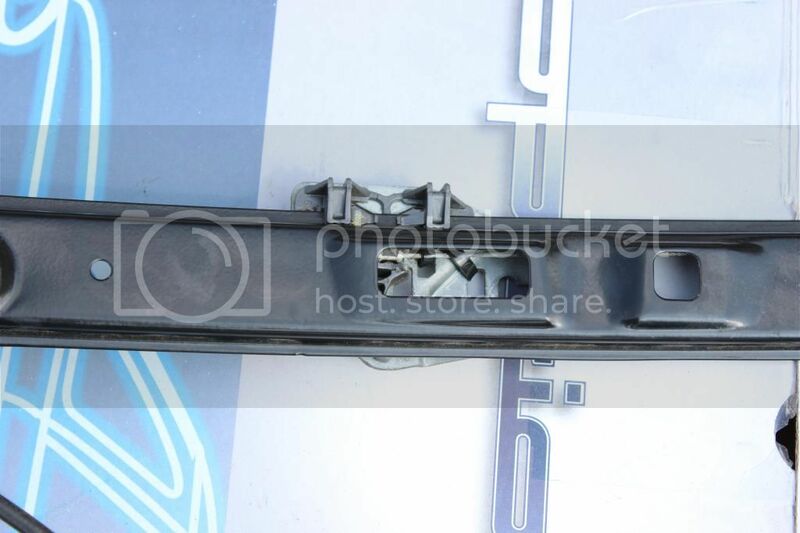 I cannot understand why BMW use these connectors instead of good old jubilee clips. They're a pain and a cause of leaks. I'll post a photo of the damaged radiator when I've got it off my phone. Last week I replaced the front ARB bushes on the Mrs 325i as I'd noticed after last year's MOT that they had loads of play in them. The ARB was able to move around inside the bush quite noticeably. Yes, I know it shouldn't have taken a year for me to do them! I have a toddler! Well I changed them for some new ones from my local main dealer that were as cheap as lesser items from a motor factors. Whilst doing so I checked the drop links for play and there was some in both. It's a bit tricky to feel play in drop links when the car is jacked up as the wishbones drop and they are under tension. I also had to change the rear brake pads as a suprise and adjust the handbrake. She then complained of a clonking! My diagnosis was the drop links. So yesterday we popped to some friends with a boot full of tools and a pair of drop links with the plan to go to the Mrs' Mum's, where I'd change the drop links. Except a few hundred yards away from our friend's house a clanging started in time with the wheel rotation on the front right. The drop link had snapped out of it's top ball joint. I managed to tie it up to the wishbone with the strap from our £5 petrol station picnic blanket until we got to her Mum's where I replaced them both. The other was shot too, despite only being replaced by our mechanic 2 years ago. I'm guessing the one that failed was original and has 148k miles on it! The replaced one was by First Line. Absolute crap. I'v put Lemforder ones on now. Let's hope they'e longer lasting. Sounds like an exciting weekend!